There is a broad assumption in our society that many, if not most people need to heal, as in restore health or be made whole. And while healing is a phenomenal process that can restore life to millions of people, and for which I am most grateful, I believe we are increasingly moving into a "post-healing society" and I'm not alone. Post-healing is itself an extraordinary milestone in human evolution, which deserves to be talked about and clarified, so we all know when we are experiencing it and so we can have more of it. I'm sometimes surprised by people who are unaware of even the possibility of a post-healing society. So what am I talking about when I say, "post-healing society?" I'm calling it "post-healing", because at the start of something that is this complex and revolutionary, it's helpful to make a distinction between newly emerging conditions and that which went before, gave rise to the new, and is now distinct from it. Over time, I believe a different name will emerge that describes more fully what "post-healing" really is, but for now, let's look at how it is different from healing society. Post-healing society and healing society currently overlap and will do so for the foreseeable future. I'm talking largely about psychological healing here, but body, mind, heart, and spirit are so entwined that that distinction may not be altogether important. In fact, appreciating the inherent wholeness and interconnectedness of body, mind, heart, and spirit is a feature of post-healing. From a psychological perspective, healing society arose and reached its zenith in the second half of the 20th Century when defining mental illnesses, cataloging their symptoms, and finding effective treatments for them became the primary focus of the fields of psychology, psychoanalysis, and psychiatry. As treatments became more effective, the impact on society was seismic. People started to understand their own differences and difficulties, as well as those of others, learned to ask for what they needed, began to experience wellness, spoke up for their rights to be treated equally and with respect, and for many, to a large degree, suffering was diminished. When there is less suffering, new possibilities emerge. But by the end of the 20th Century, many professionals seemed to believe there was something psychologically wrong with us all. I heard one psychologist say that everyone had something, either a neurosis, personality disorder, or psychosis; or else they had addictions, brain damage, or other neurological disorders. Another told me that in therapy, neurotic is what you want to be, because everything else is worse. So what is healthy if everyone is ill, including apparently (since everyone has something), the therapists, themselves? I wasn't the only one wondering about this, because positive psychology officially emerged in the 1990's as a sub-specialty of psychological research. Positive psychology is specifically concerned with studying people who are doing well, who enjoy well-being and are flourishing, so that others can learn from them and enjoy greater well-being, also. The pioneers of positive psychology, notably Martin Seligman, went so far as to declare that the goal of positive psychology was to render itself obsolete. In other words, that the larger field of psychology would return to its original intent and cover the entire range of human behavior, rather than just focusing on what was wrong. Here's a real-world example of post-healing. Seligman was asked by the United States Armed Services to help returning servicemen and women who have developed Post Traumatic Stress Disorder (PTSD), a debilitating illness that is particularly difficult to heal. After surveying a large number of soldiers, Seligman's team found that a small percentage, who had been exposed to many of the same horrors of war as those who developed PTSD, actually seemed to grow through the experience. The key to growth rather than illness? It was the story they told themselves about it, in other words, the meaning they attached to the event. If a soldier told him or herself that they were at fault for the deaths of their buddies, or that they should have been able to save a friend, they were more likely to develop PTSD. If on the other hand, they told themselves that they must have been spared for a reason and that now they had an important purpose to serve with their lives, they were more likely to experience what Seligman calls, Post Traumatic Growth. Now there is training for soldiers that can help them grow through trauma, instead of being damaged by it. As an aside, I want to mention that 20th Century psychology has focused, from a scientific and medical standpoint, on many of the same issues that were once thought to belong to the realm of spirit, spirituality, and religion. Afterall, its name is derived from the Greek, "psykhe", meaning soul, spirit, or mind. Today's "spiritual-but-not-religious" movement focuses on healing almost as much as the psychological field. But modern spirituality also focuses on the transcendent, trans-personal, upon enlightenment, and other lofty states. Like the field of psychology that is envisioned by Seligman, spirituality focuses on the full range of human behaviors and experiences. An example of post-healing spirituality is Zen Master, Genpo Roshi's, brilliant integration of voice dialogue therapy with modern Zen, called Big Mind. The goal of Big Mind isn't healing, but Buddhist enlightenment. It begins with the assumption that the student is already whole, complete, and perfect; including the parts s/he would like to eliminate! An example is what Roshi calls a "disowned voice", a part of us that we judge negatively and may want to eliminate and that can become a problematic shadow. One such voice is what he calls, "The Damage". Most of us who seek out healing would love to eliminate what we consider damaged in ourselves. Some of us go from therapist to therapist, spiritual healer to spiritual healer, for years hoping to finally be healed. Don't go to Roshi for healing, though. Instead, he completely reframes the role of The Damage. He will tell you that you are already whole, complete, and perfect, including The Damage, which is perfectly damaged. It's perfect, because it has accepted all the slings and arrows of your life, so the rest of you can remain undamaged. No more, no less. What would you call someone who took a bullet for you? Your hero? The Damage is a hero who accepts all the damage we would otherwise endure, allowing the rest of our selves to remain whole, complete, and perfect. It deserves to be honored and embraced. Instead, we cause suffering for ourselves by framing it as imperfect, not good enough, broken, or sick. When we go through life believing we need to heal, we sometimes keep old wounds open, we feel less than, we sometimes give away our power to healers, or we may use our condition to be less than fully responsible for ourselves. Once you embrace that you're whole, complete, and perfect, there are no more excuses. I'm not suggesting that these two examples of what I call, post-healing, are what everyone needs. Remember, both the healing society and post-healing society will exist side-by-side for quite a while, if not forever. I am suggesting that healing has opened the door to post-healing. I'll use myself as another example. As someone who grew up in the proverbial dysfunctional family, I worked with a number of therapists over the years, believing there was something wrong with me. They made a big difference. But one of the most dramatic shifts that I made with any therapist was with the last, who at one point said, "Read my lips, you're healthy." Accepting that there was nothing seriously wrong with me was like waking from a dream. Suddenly, so much more was possible. I felt confident and believed in myself. Of course, I wouldn't have gotten there without the help of some wonderful healers. And that's my point. Therapy got me ready for post-healing. And it got me ready for coaching, too. Life coaching is, as far as I know, the first and perhaps only profession that is completely post-healing. Life coaching and its siblings, including business coaching, executive coaching, and more, don't focus on healing clients, but rather assist clients to shift into more resourceful, and some would say, transformative mind-states that help them see solutions to problems and pathways to goals, while inspiring them to take action and create the outcomes that are best for themselves and others. We see our clients as whole, complete, and perfect. We believe in them from the very start. We help them reframe limiting beliefs, integrate disowned voices, and experience their interconnectedness with others. As a result, they become more confident, believe in themselves, evolve into who they want to be, and create valuable changes for themselves and others. It's both an honor and an interdevelopmental experience to work with people who are discovering their true selves for the very first time. They step into their greatness and go on to change the world for the better. Imagine a world where all people not only heal, but reach their full potential and are inspired to transform the world. It's not a dream. Because of the good work done by healers, clients are becoming ready for post-healing and coaches go on to make transformative possibilities real everyday. Would you like to join the post-healing society? Find a coach here. Or become a coach. Your first step toward professional coaching might be to download the FREE Become a Coach eBook. I asked Houston Business Coach, Mattison Grey, if I could interview her, because after 20 years of success, I knew she had insights that other coaches would want to know. A few weeks ago, Mattison celebrated her 20th "Coachaversary", meaning she's been coaching professionally - and blowing minds - for 20 years. 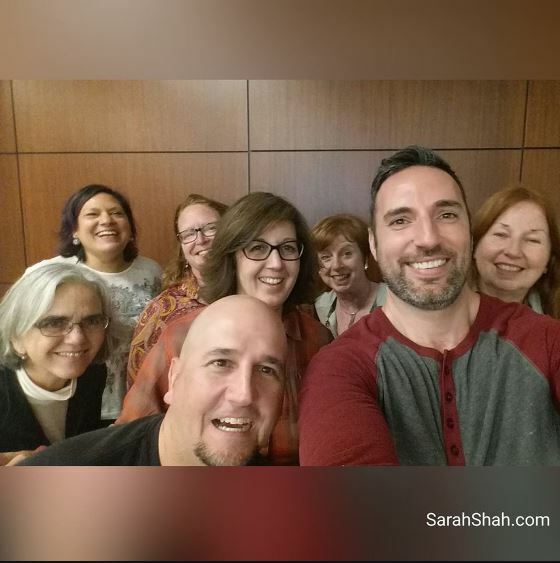 I traveled to Houston, along with many of her current and former clients, to attend the impressive celebration, followed by a mysterious "quest collage" workshop, the next day. Here pictured are several of us at the workshop (No, we're not on jury duty!). You may recognize three current/former SCM students, Matt Connor middle front, Eric LeJeune, who's taking the selfie, and Nancy McCabe between them, way in the back. Mattison is half-hidden, third from the left (appropriate because coaching is all about your clients). I'm at the far right. Also pictured from left are Gika Rector, Sarah Shah, and Kathi Crawford. What was it like way back in the olden days of coaching? How did she succeed so well when some coaches struggle? What's a typical week like for Mattison? How to distinguish yourself from other coaches. Why saying things like, "My life is my certification," will drive away potential clients. What does the future hold for coaching? Acknowledgement Hotline - Do you want to be fully acknowledged for something? Get acknowledged by a trained acknowledgement expert including Mattison, Eric Lejeune, Sarah Shah, and Kathi Crawford. Would you like to tell people the secrets to your success, someday? Coaching vs. Consulting: What's the Difference? If you're a business consultant, then you may be wondering if you should get some coaching skills. Or you may wonder if you're already coaching, now. Many people wonder what the difference between business consulting and business coaching really is. 1. Coaches ask more than they tell. Savvy consultants also ask a lot of questions, but they usually are in the "information gathering" mode. A good coach is just naturally curious. This is one of the reasons coaching is so effective. Even though your client hired you for your expertise, they will probably feel uncomfortable sharing their (or their business') problems and weaknesses with you. Chances are, they'll cover up what's really going on. But the same client will open up with a coach who is naturally curious. 2. A Consultant's expertise is usually the main thing they share with clients. Coaches have expertise too, but it's usually the last thing they share. That's not to say that expertise isn't important. Sometimes it's the thing the client most needs. By following their curiosity and the curiosity of their clients, coaches find out what's really going on and what the client really wants. Then they can share expertise in a customized and targeted manner, providing exactly what the client needs, when they need it. 3. Consultants often do a lot of measuring and testing. They then have metrics to share and specific recommendations about what to do. A coach may administer assessments, but they are less about the raw data and more about the meaning behind the data. Sometimes what a client really needs is the hard data. That's when they need a consultant. Other times a client needs to get clear about where they really want to go and what they really value. If that's the case, the data may be extraneous and they are better off with a coach. 4. Consulting is mostly a "left-brained" activity. It's about taking linear steps toward a specific goal. Coaching is predominately "right-brained". It's about growth and evolution. That said, consultants and coaches, use both sides of their brains! 5. Consultants usually offer training to their clients. So do coaches. 6. The truth is, most consultants do a little coaching and most coaches do some consulting. Both professions require practice to master. Good training can speed that up. Do I need coach training? Should I get coach certification? What's the best life coach certification? Can I get life coach certification online? 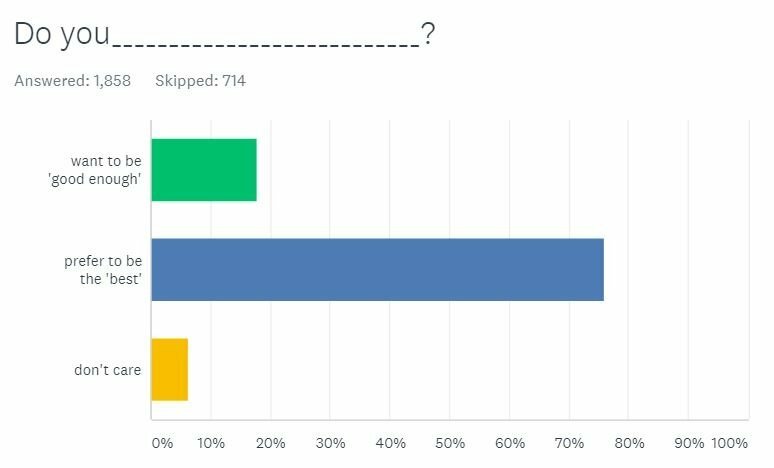 Here are some useful statisitics gathered from 2,572 coaches who visited our coach training website and participated in an online survey. 86.26% say coaching is their career. 43.89% are life or business coaches. 56.11% are divided between other types of coaching. 92.36% want to work for themselves. 75.94% want to be the best they can be, 17.71% just want to be good enough, and 6.35% don't care. 79.95% say becoming a certified coach would help them feel more confident. 75.42% say that confidence would help them sign on more clients. 72.49% say they want to be certified coaches. If you're like most coaches, you want to make coaching your career; you want to work for yourself; you want to be the best you can be; you'll feel more confident when you are certified; that will help you attract more clients; and last, you want to be a certified coach. The good news is yes, you can get coach certification online. The best coach certifications are approved by the ICF, and the best way to get certified is to get coach training. 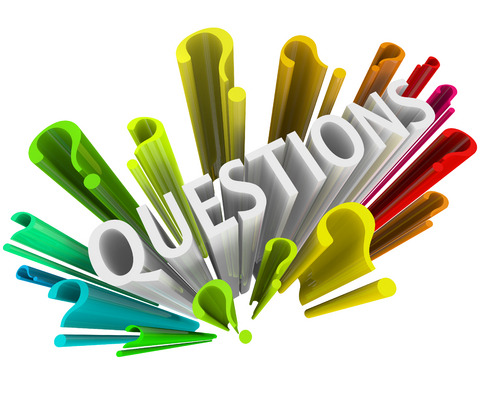 Every new coach wants to know…what are THE coaching questions?? So here they are: Powerful Questions, Open-ended Questions, Curious Questions, Clarifying Questions, Possibility Questions, Golden Questions. Do you know the difference? When and how could you use them? Truth is, there are at least 100,000 great coaching questions and it won’t be long before there are millions. Coaching questions are kind of like iPhone Apps; a few years ago they didn’t exist. Now everybody’s creating them! Here’s the real secret: it’s how you set up your coaching questions and then how you follow up that creates much of the magic in coaching. These questions in the hands of a novice may not have the same punch as they do when used by a master coach. Great Coaches Ask Great Coaching Questions. Get the FREE Become a Coach eBook. I’m curious; may I ask you a few questions? What’s great about your life this week? How have you grown this week? What did you accomplish this week? Is this what you want to be coached on or are you just sharing? What could you be happy about if you chose to be? Are you using this to grow or are you beating yourself up? Does this story empower you or disempower you? How can you turn this around and have better results next time? On a scale of 1 – 10 how honest have you been about this, with others? Do you mind if I offer an observation? Is this the problem or the solution? How would you like it to be? Are you focused on what’s wrong or what’s right? Is that a story or the truth? Do you want this for its own sake or are you trying to avoid something else? Is this giving you energy or draining your energy? What will really make the biggest difference here? Is this a limitation or is it a strength? What’s the benefit of this problem? Who else is this hurting? What does your intuition tell you about this? Do you have a gut feeling about this? Have you solved problems like this before? What rules do you have that are getting in the way? How long have you been thinking about this? Have you ever experienced something like this before? If you changed your belief about this, what would be possible? Is this a decision or a pipe dream? Which of your core values does this goal express? Is this goal pulling you forward or are you struggling to reach it? Will this choice move you forward or keep you stuck? What’s the first step you need to take to reach your goal? What’s the worst that can happen, and can you handle that? What’s the downside of your dream? What’s stopping you from taking action? Who wouldn’t like it if you succeeded? What will you have to give up in order to make room for your goals? How would your life be transformed if you changed this right now? If you don’t change this, what will it cost you in the long run? What’s the most resourceful choice here? How can you improve this, so it adds value forever? How can you solve this problem so it never comes back? Are you acting on faith or fear? If you weren’t scared, what would you do? Are you standing in your power or pleasing someone else? What are you pretending not to know? How could you have this conversation so it empowers everyone concerned? What might make the difference that could change everything? If you approached this with courage, how could your life change? Are you procrastinating or is there a reason to delay? What’s the emotional cost vs. the financial cost? Which step could you take that would make the biggest difference, right now? How can you get your needs fully met? If your life were exclusively oriented around your values, what would that be like? How would you describe the difference between a need and a value? If you achieve this goal, will it bring lasting fulfillment or temporary pleasure? Have you thought about the impact you’ll have by creating this? How can you learn from this problem so it never happens again? How can you create more value with less effort? What are you willing to do to improve this situation? What are you willing to stop doing to improve this situation? How can you enjoy the process of solving this problem? Do you mind if I ask a very personal question? What are you willing to commit to here? Do you need to work harder or delegate this? If this weakness were also a strength, what would that be? How can you use this so it becomes a benefit? Have you decided to take action or are you just hoping you will? Are you angry or are you hurt? Who can help you with this? Does your current habitat fully support who you’re becoming? What do you need in order to succeed here? What plan do you need in order to achieve your new goals? Are your personal standards high enough to reach your goals? 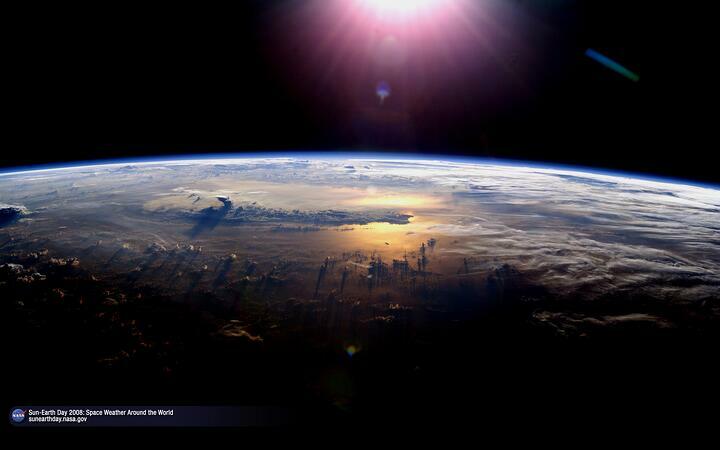 What will your impact be 100 years from now? Who do you need to become in order to succeed here? What are you responsible for here? Instead of either/or, how could you use both? Are you approaching this from your head or from your heart? Is this an assumption or have you checked to be sure? How can you learn what you need to know about this? Is this the best outcome you can imagine or is there something greater? Do you have a detailed strategy to get there? How will you transform your life with this new knowledge? What does this accomplishment mean to you? Who did you have to become to achieve it? What did you learn in the process? How have you changed the world for generations to come? Get the FREE Become a Positive Psychology Coach eBook. Print out this list of questions and post them next to your coaching desk. With practice, incredible coaching questions will occur to you spontaneously, your clients will have amazing insights, and you will easily earn the big bucks that life, business, and executive coaches charge. Got some great coaching questions of your own? Please share them below in the comments section. Want to know how to ask incredible coaching questions? Check out this free infographic. Want to learn all you can about asking incredible coaching questions? Sign up for the FREE How to Ask Incredible Coaching Questions eCourse. You'll receive one lesson per week via email for 10 weeks. Take the next step. Click below to get started now. It's FREE! Should Life and Business Coaches Give Advice? Most people assume that life, business, and executive coaches give advice, because that's what most professionals do: give expert advice. For instance, if you hire an attorney, s/he gives you legal advice. If you hire a broker, s/he gives you financial advice. And if you go to a hair stylist, you expect some advice on your hair. But coaches really aren't advisors. By the way, this answers the question posed to me years ago by one coach wannabe, "How do you charge for free advice?" Most new coaches ask some version of this question when they first set up their coaching businesses. The answer is, "You don't." Free advice is everywhere, but that's not what coaches do. Huh? What do coaches do then, if they don't give advice? Well, here's one of the most succinct definitions of coaching, from David Rock, who pioneered brain-based coaching. He says, "Coaches help people think better." "Why would anyone pay hundreds of dollars per hour to have somebody help them thinking better?" you might ask. That's certainly an understandable question. Because Rock's definition is so simple, it doesn't even hint at the power of coaching. In fact, most coaching definitions don't. Here are two coaching definitions I borrowed from the blog post, "What is Life Coaching?" School of Coaching Mastery (SCM) definition of coaching: Coaching is a customized conversation that empowers the client to get what s/he wants by thinking and acting more resourcefully. International Coach Federation (ICF) definition of coaching: Coaching is partnering with clients in a thought-provoking and creative process that inspires them to maximize their personal and professional potential. These definitions get closer to what really happens in an effective coaching session, but if you've never been coached, it's still hard to imagine the value, so it's no wonder untrained coaches tend to give advice and then wonder why they don't have more paying coaching clients. If your "coaching" is really about giving advice, you're not coaching; you're consulting. Sometimes the client needs consulting, so if you're qualified to consult within your specialty, go ahead and consult. But don't call it coaching, because your clients won't know what they're buying. And don't ever call yourself a coach just to get around the fact that you don't have the credentials to do something else. Coaching is unregulated virtually everywhere, but If you're not qualified to be a counselor, psychotherapist, financial advisor, legal advisor, or health professional, etc. ; it's unethical to advise people under the heading of "coach", because coaches don't advise and because calling your service one thing, when it's really something else, is false advertising. And finally, because these specialties are usually regulated. What coaches really do is shift their clients' mind-states. This is pretty profound, requires skill, and it results in dramatically better outcomes. We don't heal our clients, but we do bring out their personal greatness, which has in common elements from Presence, Flow, Love 2.0, and more. In short, coaching clients think better. Way better. When clients think better, they see solutions to problems and pathways to reaching goals. They sometimes realize they don't even have problems (or maybe what they have are really good problems) and they even become grateful for what they already have. Sometimes, they find strengths they'd forgotten, or values they truly treasure that pull them forward. Sometimes they realize they already have the people and resources they need, or that they know where to find them. And occasionally, they discover a gap that needs filling. There may be a gap in knowledge, vision, plan, or relationships. In these rare cases, the coach may prompt clients with a few possibilities they didn't know about. The coach might say, "I've seen others try X, Y, or Z in this type of situation and it was effective for them. What do you think?" But a great coach will never say, "You should do X." The first is offering options; the second is giving advice. Even offering options is ineffective unless it's really needed, which is pretty rare. Do you know how to help people think better? Do you how to shift people's mind-states so they think and act more resourcefully? Do you know how to elicit people's personal greatness? And when and how to offer options? If not, or if you're unsure, the upcoming Coaching Groundwork Advance course may be perfect for you. Find out more and download the face sheet, or even register, below. 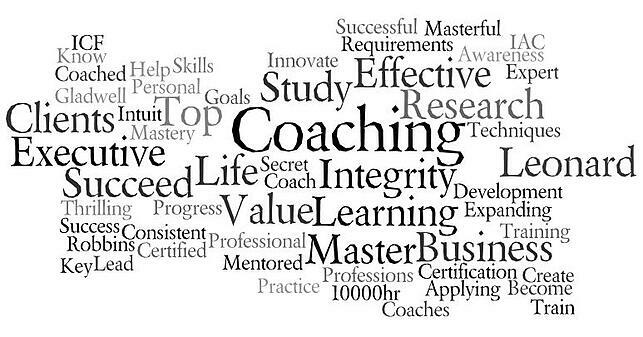 Coaches are asking to see the video of Top Ten Secrets to Making a Living as a Life Coach. Okay, here it is. Click the image below, register with your name and email and download the video to your device. It's a safe download. Have fun! The last post on this blog was, What Does it Take to Become a Top (Business or Life) Coach? It sparked quite a stir and a lot has happened since. The post inspired a Q&A class titled, Top Ten Secrets to Making a Living as a Life Coach, which sold out in minutes, so we had to get a bigger webinar platform to accomodate all the coaches who wanted to attend. The class inspired a new Coach 100 Full Practice GAME, with both a free version for everybody and an elite version for members of Coach 100 Premium. Tagline: "Everybody wins when you coach more clients, because coaching is changing the world!" The GAME inspired a new blog aptly named the Coach 100 Full Practice GAME Blog, where game players can keep up-to-date, share their experiences, and support each other's success. Plus the game is also broadcast on our Facebook Page for coaches who prefer to play there. This is a social game. It's about winning by supporting others - the best way to succeed as a coach. The class and game inspired a new series of 10 monthly Q&A webinars that go into deep detail on the Top Ten Secrets to help players succeed more easily/quickly. These live classes will be included for Coach 100 members, at no extra charge, and non-member will be able to join for $20 per class. Players are already diving into the game. Are you one of them? If you'd like to join the elite version, go here to learn about Coach 100 Premium. If you'd prefer to play the free version, subscribe to the Coach 100 Full Practice GAME Blog here. What Does It Take to Become a Top (Business or Life) Coach? A new coach told me recently that she thought coaching is probably like most professions: 20% of coaches get 80% of the clients. And yes, she may be correct. According to my research, only about 20% of coaches are really thrilled with their businesses. Obviously, if you're going to become a business or life coach, you want to be one of the top 20%. So what does it take to get to the top 20% of business and life coaches? Some marketing and sales gurus will offer you "shortcuts" to coaching glory via fancy business models, affiliate programs, slick sales techniques, or complex technological solutions. But you're a person of integrity. Don't you first want to have something of value to sell? Because the most successful coaches I know are also the most effective coaches. They didn't get that way by marketing. They took consistent targeted action over time to become masterful coaches and developed their sales and marketing acumen along the way. Sales and marketing are most effective when you have a fabulous service offering, such as master coaching. So what is master coaching? The ICF and IAC have defined what it takes to get master-level certification, but their requirements are different. And arguably the world's first coach,Tony Robbins, probably can't pass either the IAC's or ICF's certification. But no one argues with his success - or his mastery. And then there's Thomas Leonard, who founded both the ICF and IAC. His definition of mastery has nothing to do with certification. He said mastery is when you innovate your profession, grow the boundaries, so to speak. Malcolm Gladwell made famous the 10,000 hours rule that says to master anything, you need to put in about 10,000 hours of practice. For many experts, this translates into ten years or more. Hours and years alone, though, aren't enough. You need to be actively learning throughout. That's the key. Pablo Casals was once asked why he still practiced the cello in his nineties. He said, "I'm making progress." So do you want to know what it takes to become a master business or life coach? Learn the most effective coaching skills. This may sound obvious, but a surprising number of people skip this step and just announce they are coaches. Few, if any, succeed. Learn what is not coaching. 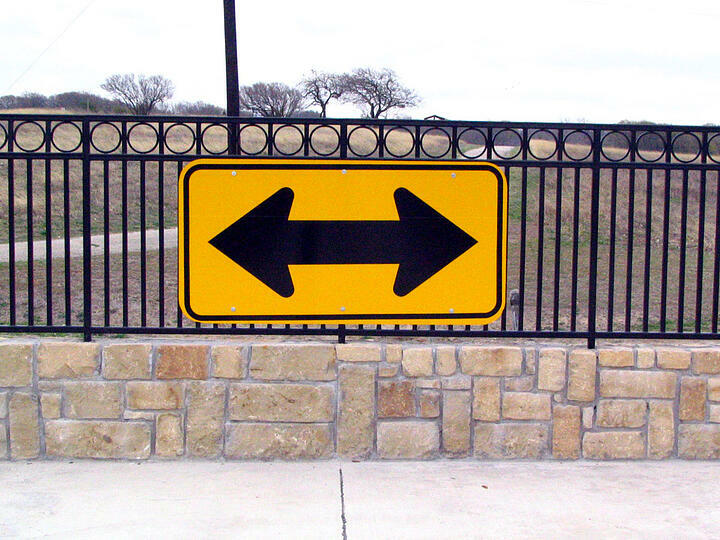 Confusing your service offerings makes each offering less effective for your client. Practice. Then practice some more. Then keep practicing. Get expert feedback on your coaching. Otherwise, you likely are practicing - and hardwiring - your mistakes. Develop your personal awareness. Discover your most important values, needs, and strengths. Use them to create an amazing life. Step into your Greatness. That's so attractive. Let your free or low-fee clients train you. Their success or lack of it will help prepare you for high-fee clients. Ask your happiest clients to refer more clients. They'll be glad to help. Hang out with successful coaches. You become who you hang out with. Get your own coach(es). It's enlightening to be on the receiving end of coaching. Have a vision for your coaching that focuses you and pulls you forward. If you feel overwhelmed or crazy-excited, you're not there yet. Become a leader in your profession. The leaders tend to become the most successful, even if they didn't start that way. Keep up-to-date with new research. Intuition offers awareness; science offers precision. At the top, the differences that make all the difference are tiny. Become marketing and sales savvy. They're important, but great coaching ability is your foundation. It takes time to get all three up to speed. Have an alternate income source until you make it. A part-time job takes way less time and energy than worrying about money. Love yourself, your life, and your clients. Wherever you are is perfect, right now. With a good plan and consistent effort, you can improve on perfection. Of course, everything we offer at School of Coaching Mastery is designed to help you step into the Top 20% of all coaches. But because practice is so critically important to mastery, we're upgrading our signature Master Coach Training to allow for more live practice and expert feedback. This September, we're introducing the 'flipped classroom' a la Khan Academy for our Master Coach Training Program. We offer a wealth of MCT recorded classes on a multitude of effective coaching skills that coaches can listen to/watch prior to live classes. The live classes are then reserved for Q&A and live coaching demos, practice, feedback, and 'coach the coach'. This allows everyone more flexibility in scheduling, attendance, learning and PRACTICE. And yes, you can become certified by joining this program (Which is included in many of our longer coach-training programs). We want you to become a master coach faster and step into the Top 20%. New Coaches: Which of These Entrepreneur Types Should You Be? Coaches are often confused when first designing their businesses - and sometimes they feel guilty too! Maybe they think they're spending too little time with the kids, or bringing in too little money. Or maybe the house isn't as clean as it used to be, or key members of family aren't fully on board. As a result, new possibilities are opening up for many of us. In a very real sense, new questions create new realities and new realities lead to new opportunities for our happiness, success and fulfillment. Coaching is all about asking those new questions. This new approach is empowering, but because it is new, people often have trouble understanding what it means. For this reason, sometimes it’s helpful to explore what coaching is not. Coaching is not the same as counseling or psychotherapy, professions which evolved out of the disease model of traditional psychology. Clients generally seek out therapy or counseling when they are distressed by a problem and may need to heal. Clients seek coaches when their lives are already okay, but they want to be even better. Coaching assumes clients are already “whole, complete and perfect” and are capable of making empowering choices. Having a skilled coach who believes in them, can help clients grow, act resourcefully, reach their goals and discover their greatness. Healing from a disease or problem is never the central focus of coaching. One way to think of the distinction between psychotherapy and coaching is their relationship to health. Therapy takes a client from an unhealthy or negative state ( - ) and brings them up to a healthy or neutral state ( 0 ). While coaching begins at that neutral state and moves the client toward their full potential or positive state ( + ). Coaching is also not consulting. A consultant is an expert in a particular field who assesses a client’s situation in relation to that field and makes recommendations on what to do to improve the situation. A coach generally assists clients to assess their own situations and think - and act - more resourcefully about how to improve them. In other words, a coach helps the client to grow so they can reach their own goals independently, now and in the future, rather than become dependent upon an expert for help. Most consultants also do some coaching and most coaches also do a small amount of advising, so these professions are often confused, but generally, coaches help their clients be their best, while consultants advise clients on what to do. Because coaching is popular and not regulated, people who are not coaches sometimes call themselves coaches. The following services are not coaching: consulting, training, seminar leading, counseling, therapy, internet marketing, selling, bill collecting; or offering advice on financial or legal matters, health issues, or religious teachings. Be suspicious of anyone who calls himself a coach, but who offers services in any of the foregoing areas. Sometimes people who are unqualified to be licensed in a regulated profession will call themselves coaches to get around legal requirements. This is not only unethical, it is a red flag that the person is unqualified in that area.